Get notified when Wicked tickets are available! Think you know the story of The Wizard of Oz? Think again! There is a lot more to the tale of the witches from the beloved movie, and Wicked, the musical, finally sets the story straight! 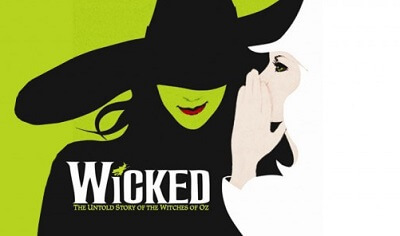 Based on the 1995 novel, Wicked is one of the most successful musicals in history. It premiered in 2003 in San Francisco and has run on Broadway and in London’s West End. The show has also had two US tours and a UK and Ireland Tour and now, it’s gearing up to hit the road again in 2016. Find out when Wicked will be in your town and buy your Wicked tickets now!